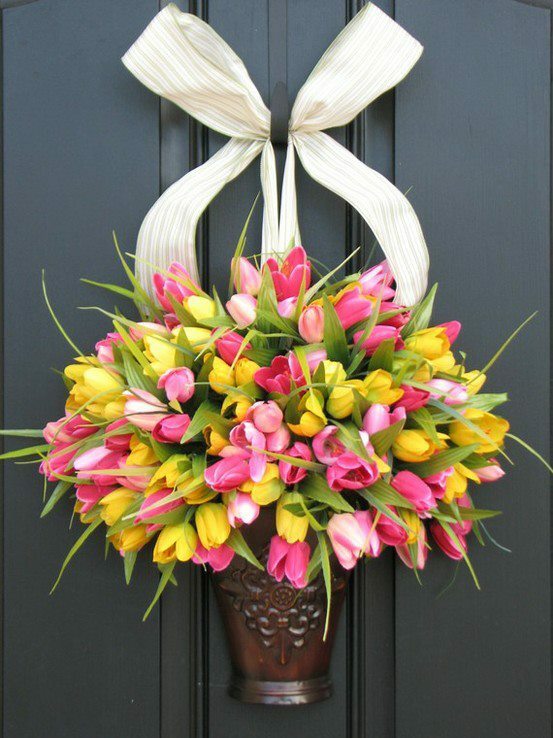 Is Your Front Door Ready for Spring? With the ice and snow of winter melting away and budding trees and blossoming flowers starting to show, it’s time to do a little bit of spring cleaning. If you want your house to really look fresh and clean this spring, though, you might want to pay a little bit of attention to your front door. What do people see when they see your home from the curb? From far away, they might focus on the beautiful paint job, the windows, or even your lawn. However, as they approach, visitors are going to notice your door, and winter can really wreak havoc on your doors. Doors of Elegance offers a number of refinishing services designed specifically to give your front door a new lease on life. Check out just a few of the things we can do to spruce up your front door and make the entire exterior of your house look fresher and more appealing. If you’ve recently painted your home – especially if you’ve changed the color – you might want to consider painting your door this spring. You can either choose to paint your door to match the rest of your home’s exterior, or you can choose a complementary color that will give it a new sense of style. For example, if your home is a muted, neutral color like gray or tan, a bright red door and red windowsills could give it a warmer, more inviting look. Paint also seals your door against moisture and protects it to help it last longer. However, if you want to preserve the gorgeous look of a high-quality wooden door, painting it is not necessarily the way to go, especially if you want to eventually remove the paint and have a more natural look. Staining your wood front door will give it a warm, rich look. You can choose darker or lighter stains, depending on what shade will best complement the color of your walls, your trim, and/or your porch or deck. For a natural look, staining is definitely the way to go. However, unlike paint, stain doesn’t really protect your door against the elements and will leave the wood bare to wind, rain, and moisture if you don’t treat it. Varnish does take time to dry and cure once it’s applied. It’s important to give it the proper amount of time if you want to ensure that your door has the right look and feel and that it’s properly protected against the elements. At Doors of Elegance, we proudly provide all of these services, giving you the opportunity to see a fresh, gorgeous door and a real improvement to the look of your home this spring. For any of these services, we’ll first assess the condition of your door and apply any necessary putty or caulk to seal cracks or other damage. We’ll then remove the lockset and sand the entire exterior side of your door before applying paint, stain, or varnish. We guarantee you’ll get the very best services and the most attractive front door this spring when you choose Doors of Elegance.